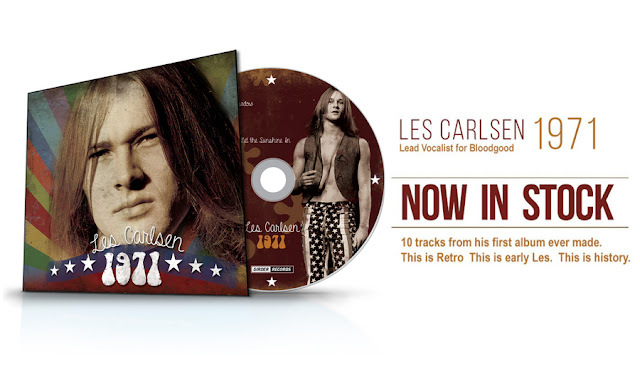 In the late 60s, a group of psychedelic rock of Morgantown, West Virginia,began to combine rock music with a spiritual message. The band was encouraged by WVU's campus minister, Episcopal priest Rev. Michael Paine, who helped the group to organize its religious repertory, while Paine's wife, Victoria "Tori" Paine, suggested the name Mind Garage to the band. 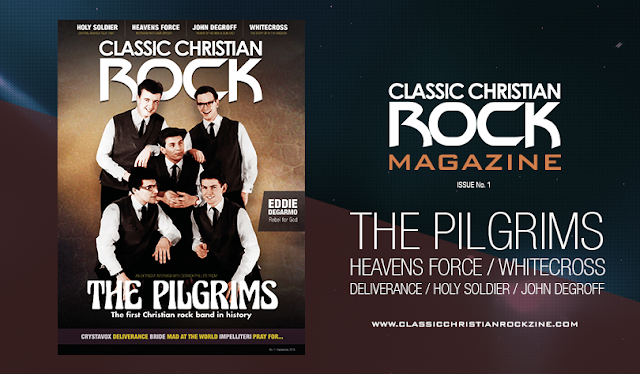 In 1967 Paine suggested the band write rock music with Christian content for use in the church. 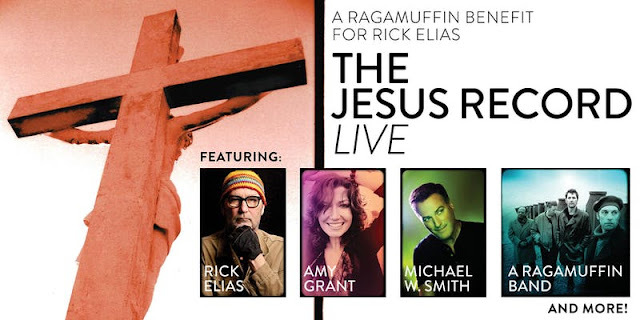 At that time, there were virtually no albums available to a national audience that could remotely be described as Christian rock; it's impossible to overstate how radical the "Electric Liturgy" was in that context. 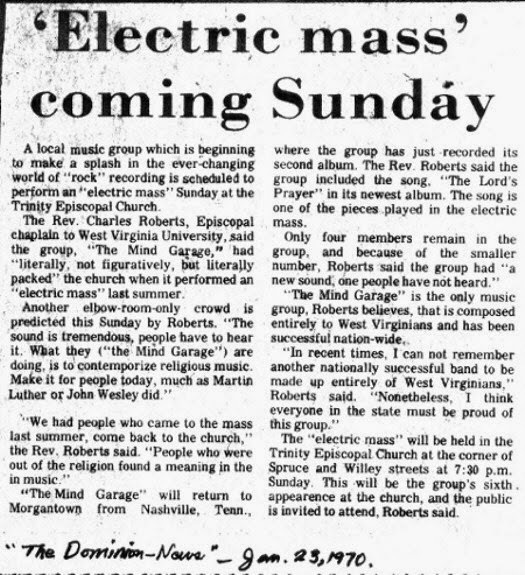 The Mind Garage, which never limited itself to one style of music began composing the Electric Liturgy in Paine's attic with a serious intent to get the message across. 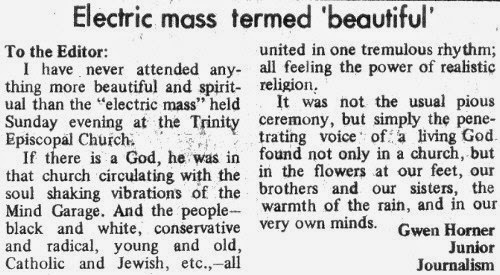 The Electric Liturgy was conceived as an orthodox Episcopalian service, but was immediately transformed into an inter-denominational service by the people themselves. It was not uncommon to witness Episcopalians, Catholics, Protestants and Jews together, all taking Communion. People who were out of religion found a meaning in the music. 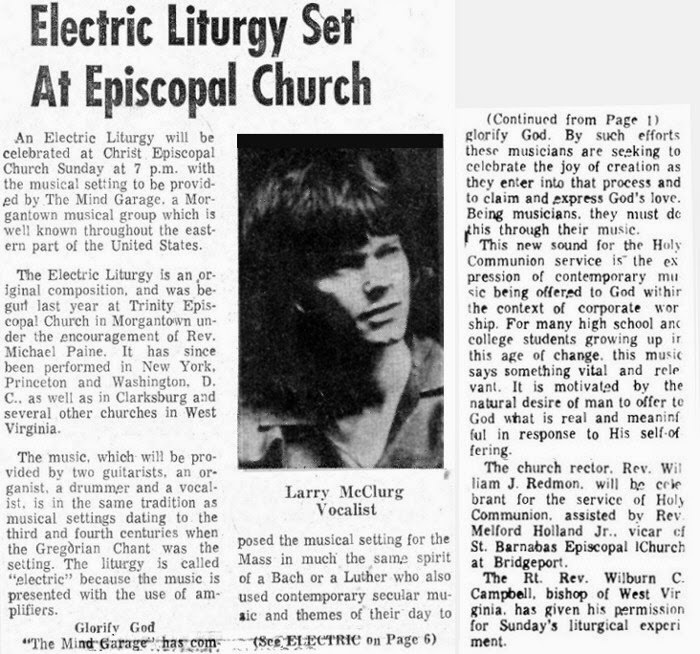 The Electric Liturgy became so popular the band was invited to perform the worship service in churches throughout the Eastern United States including Washington, D.C., New York, and Princeton University Chapel. The Electric Liturgy was shocking. 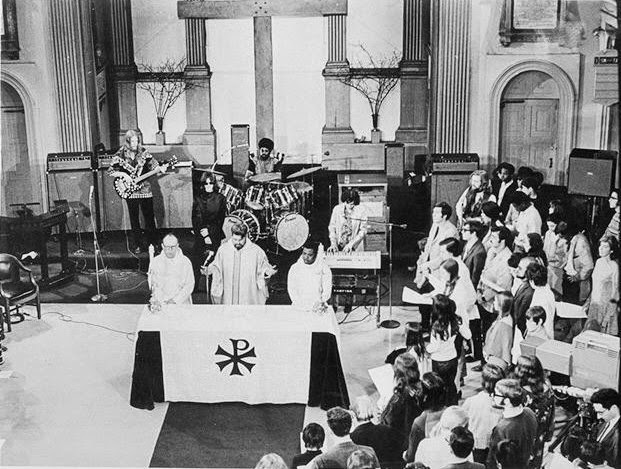 A nationally televised Christian Rock and Roll worship service was given by the Mind Garage in St. Mark's Episcopal church in New York on ABC TV, on April 13, 1969. 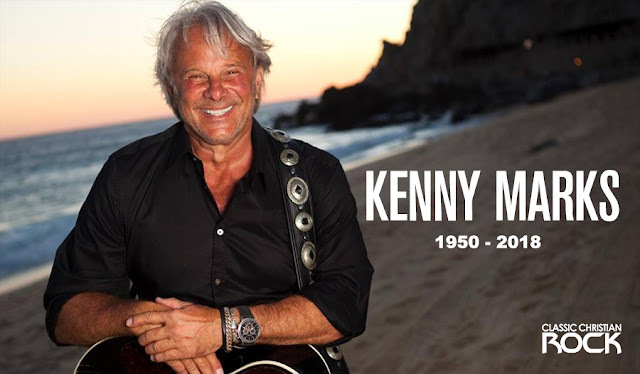 45 years later, vocalist, Larry McClurg, has told us that he spoke with the Rev. Michael Paine, and in 2015 they organized another Liturgy Electrica, and this time make a video of all the live presentation. The article below describes the first appearance of a Christian rock band on the national news The Huntley-Brinkley Report, August 8, 1969. 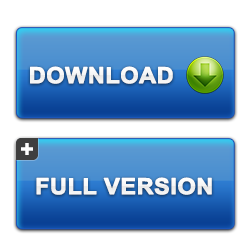 The Mind Garage performed in Trinity Episcopal Church NYC August 5th. The news was broadcast August 8. The article was run August 16, 1969.